Fitness has been part of Michaela’s life since she was four years old with gymnastics in the Czech Republic. Fitness is her passion. Her career started after she met her husband, who became a personal training mentor. His patient teaching style and many years of experience in fitness helped her journey bringing enduring results to many clients. Becoming a personal trainer is such a blessing for her. She practices what she preaches and strives to be an example trainer/coach as her dedication brings inspiration. Getting in shape and staying in shape is not easy; however, she can present workouts that will motivate and let you achieve your goals faster than ever. Michaela is a CrossFit Level 2 Coach who leads by example and strives for virtuosity. She also holds CrossFit Kids, CrossFit Nutrition, CrossFit Mobility, CrossFit Olympic Lifting, CrossFit Gymnastics Certifications. She entered a few figure competitions and placed well in all of them, including a 3rd place 2008 Emerald Cup in Seattle. With Michaela as your coach, you will work hard, be dedicated, and stay consistent. As a CrossFit Level 2 Coach (2008, 2017), Judd continues to enhance people's fitness since 1995. His background in health and fitness includes a Bachelor of Science degree in Kinesiology with an emphasis on Excercise Science and Fitness from San Francisco State University. Judd spearheaded worksite health/fitness and managed Corporate Fitness and Wellness Programs for Brocade Communications and General Dynamics Advanced Information Systems. His specialty certifications include CrossFit Kids, CrossFit Gymnastics, CrossFit Kettlebell, CrossFit Rowing, CrossFit Nutrition, CrossFit Olympic Weightlifting, Egoscue P.A.S. With an eye for movement and penchant for empathy, he loves to empower everyone in and out of the box! Ron has management and business development experience from sizeable big box gyms. With previous certifications NASM/NCSF, he successfully ran personal training and fitness programs for thousands of members in the South Bay. He learned laser focus, discipline, and execution as an Air Force veteran. Efficiency and team ethic are now honed as an Apple and Facebook employee in the SILICON VALLEY. He lived in Thailand for 2 years and has decades of Muay Thai training/coaching. “I accidentally found CrossFit as a recreational soccer player when I signed up for personal training in February 2008 at a Gold’s Gym in York, Pa. The trainer with whom I was paired put me through CrossFit workouts and led me to CrossFit York later that year. At the time — with little athletic background to speak of — I could neither do a pull-up nor get much more than 45 lbs. over my head. Today, I have multiple Olympic-weightlifting competitions under my belt. I earned a bronze medal at the 2013 National Masters Weightlifting Championships and qualified for Pan American Masters. As well, I’ve been a coach to two 2013 National University Championships qualifiers. Ryan has been coaching CrossFit for 5 years now and loves helping others reach their health and fitness goals that they never thought was possible. Ryan is a 27 yr old San Jose, CA native who has always carried a strong passion towards health and fitness. He first began implementing the CrossFit method into his exercise program back in 2010 and soon after began coaching as a CrossFit Level 1 trainer. Ryan has been coaching CrossFit for 5 years now and loves helping others reach their health and fitness goals that they never thought was possible. “Being a coach is an extremely rewarding position to be in when you’re witnessing and helping people change their lives on a daily basis”, Ryan says. Outside of CrossFit, Ryan is a singer/performer who appeared on Season 13 of NBC’s The Voice striking a spot on Blake Shelton’s team of 12. He also enjoys hiking, snowboarding and loves trying new sports. Ryan plans on continuing his education with CrossFit and is always finding ways to become a better coach and athlete. 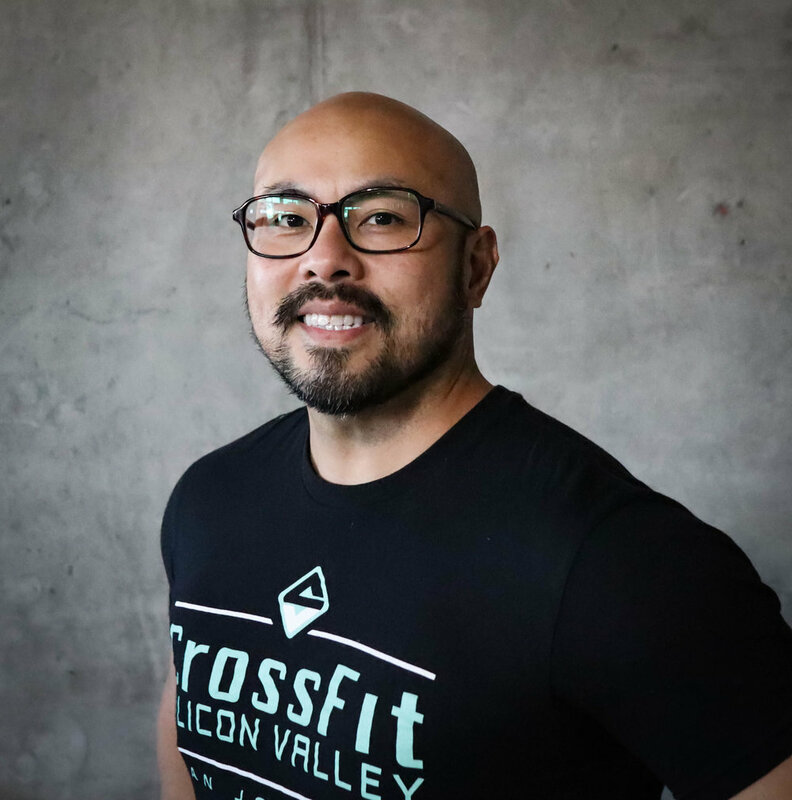 Jason has been coaching at CrossFit Silicon Valley since June, 2016. He comes in with 8 years CrossFit Training experience and a fun positive coaching style that resonates with all our beloved members. He is very demonstrative and creative in explaining complex movements, and breaks them down to levels where we all can comprehend. A South Bay native, he likes to coach and train in the evenings after a long day of Sales at "Zix". Pure SILICON VALLEY class! Steve has instructed and coached since 2012. He is Crossfit L1 certified, AFAA (Aerobics and Fitness Association of America) certified and also is a dance fitness instructor in U-Jam fitness and Bolly-X. Boost is a 30-minute full body routine with a combination of strength, cardio, muscle endurance, flexibility, core, and functional & athletic movement patterns. It is a total body, heart pumping, aerobic and strength conditioning workout. This interval-based class combines full-body strength training with high-intensity cardio bursts designed to tone your body, improve your endurance and clear your mind before you start your busy day! "Helping Change Lives, One Beat at a time." Based on strong data, we measure gains or declines in performance. Lifestyle, diet, programming and especially community are the biggest factors in regards to improvement. In order to facilitate maximum progress we stay on top of our coaching game by attending specialty certifications and athletic camps around the nation. Learning from the best in athletics and human performance, our program is proven to provide safe, efficient and highly effective results. 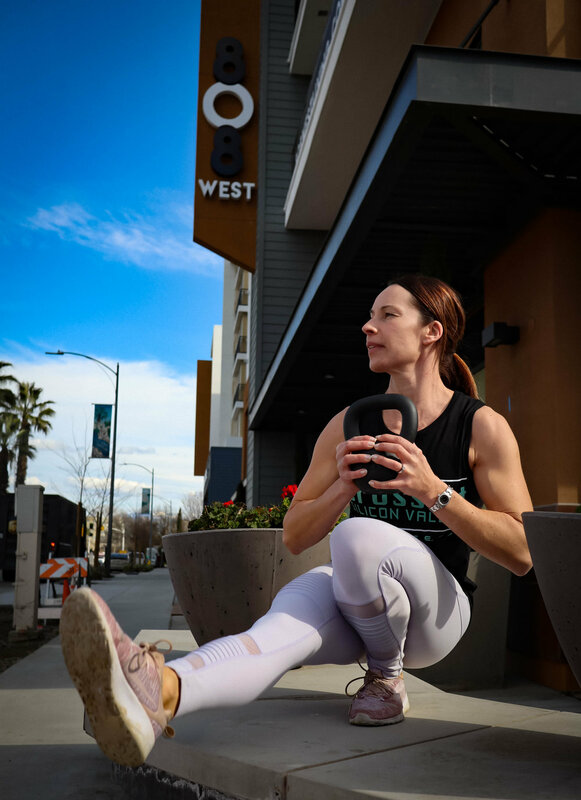 With clear scaling options and supportive atmosphere you will enjoy your experience at our clean, well equipped gym that is ideally located on in Midtown San Jose, near downtown San Jose.